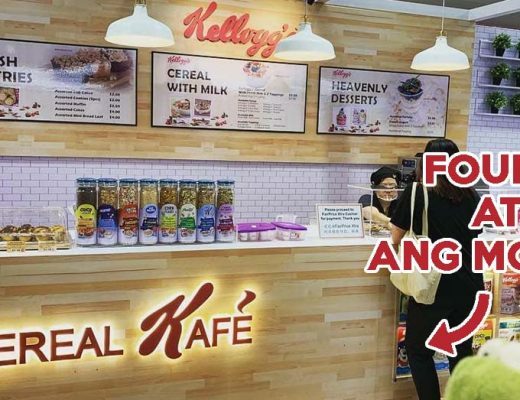 Singaporeans – myself included – have a seemingly insatiable love for bubble tea. 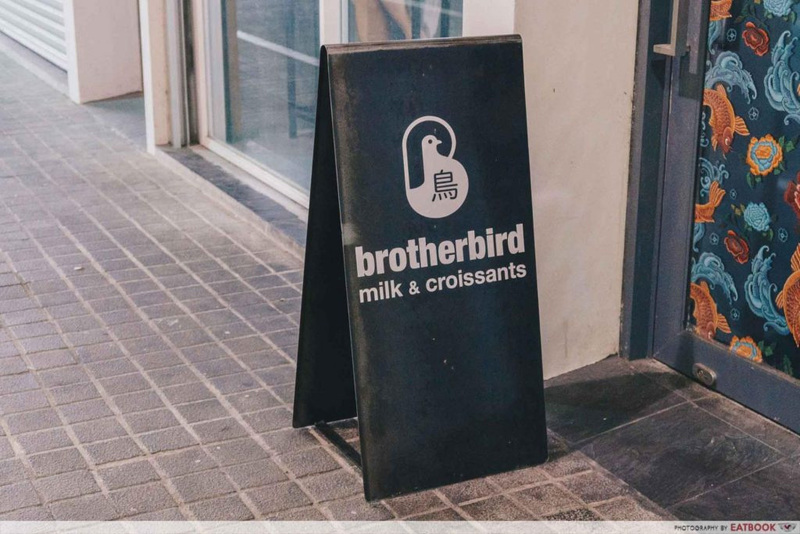 Brotherbird Milk & Croissants is harnessing that love, using the indulgent drink to amp up their already attractive mochi croissants. Their all-new Boba Croissant ($5) is the result of this effort. 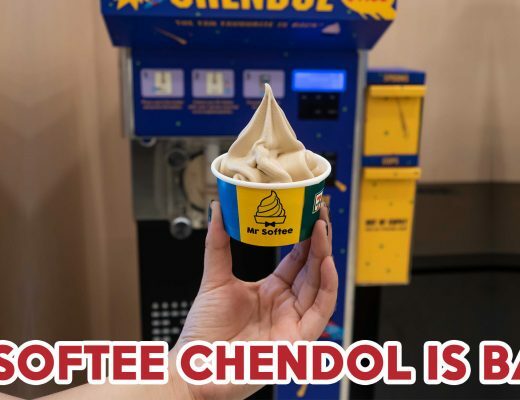 Available on weekends only, the tempting pastry crams milk tea custard and legit boba pearls within intricate layers of golden-brown dough, resulting in one of the most drool-worthy bakes we’ve seen in a while. 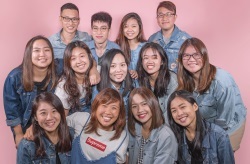 These home-grown bakers have built a cult following with their range of creative soft-serves and bakes. However, it’s their unique mochi croissants which have captivated customers. 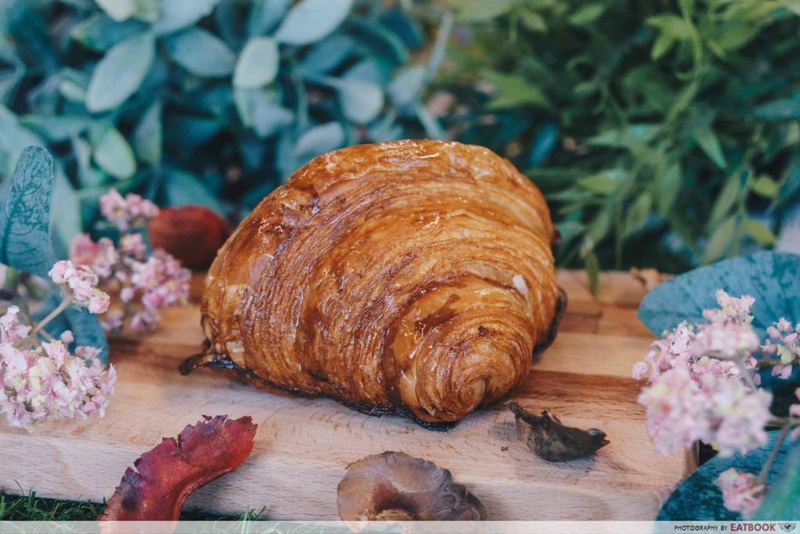 These Japanese-French crossbreeds are crafted by blending glutinous rice flour into traditional croissant dough. 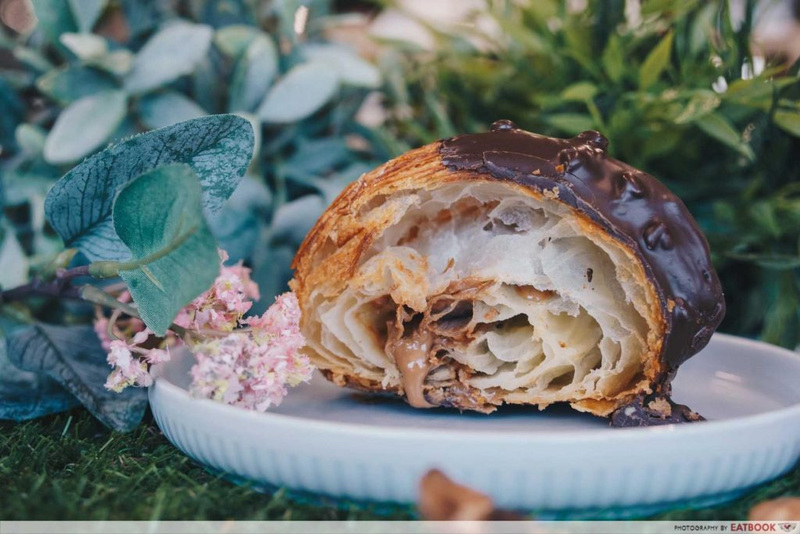 It’s the best of both worlds; flaky buttery goodness of classic croissants with an addictive chewiness from mochi. This isn’t the first time the bakehouse has turned the innovation dial up to eleven. 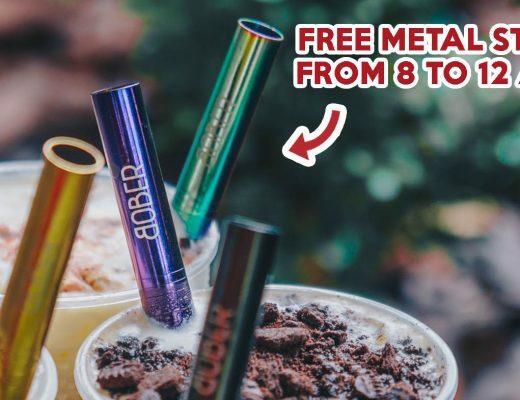 Taro Boba Milk Tea Mochi Croissants and Brown Sugar Boba Milk Croissants have graced their rotation of weekend specials in the past, with their chewy house-made pearls reinforcing the mochi dough’s natural bounce. When you make your trip down, don’t neglect the humble Original Mochi Croissant ($3). It offers that chewy, buttery mochi croissant experience in its full glory, complemented by subtle smacks of sea salt. A rotating lineup of other aesthetic pastries are always on offer, but the Rocher Mochi Croissant ($5) is a perennial fave. This two-tone, hazelnut praline-filled hunk of indulgence is true to its name, evoking childhood memories of rewarding ourselves with Ferrero Rocher. 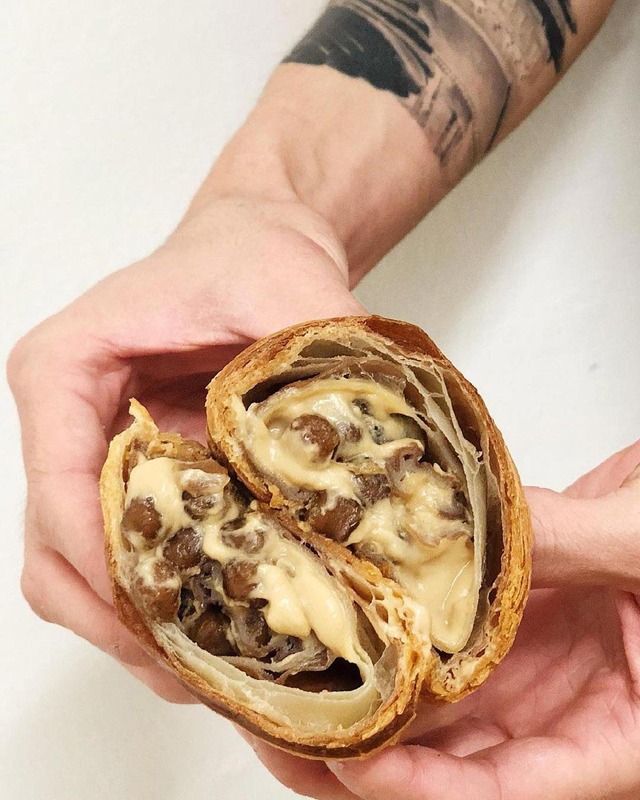 Those Boba Croissants are available at every Brotherbird outlet, so you can head down to Bedok, Bugis or Lavender to get your paws on these alluring pastries. They’re sure to run out fast, so we recommend dropping them a message to pre-order these sweet treats. 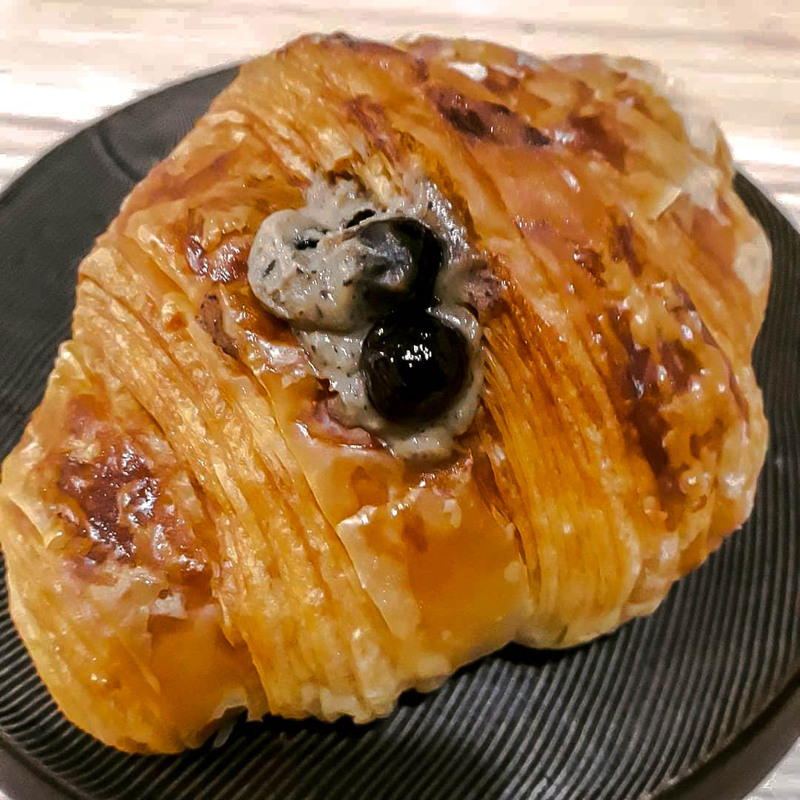 If you can’t get enough of buttery and flaky French pastry, check out our review of Bakery Brera and Tiong Bahru Bakery’s 1-for-1 deal on chocolate croissants this Easter!